Diplo’s label Mad Decent has recently announced the release date of the debut album from The Untitled Magazine‘s featured Future Legend, the Versace-clad rapper RiFF RAFF. The 14-track album, NEON iCON, is set to come June 24th and is available for pre-order on iTunes now. Listen to the latest track ‘TiP TOE WiNG iN MY JAWWWDiNZ’ below. RiFF RAFF, aka Jody Highroller, has caused a stir over the past few years, dropping numerous mixtapes and videos, touring and causing a virtual viral tidal wave online. The Houston rapper and meme-inspiring internet sensation is known for penning tongue-twisting lyrics that come to life via wild stage antics. NEON iCON takes the insanity to the next level, with cameos from Childish Gambino, Mac Miller, Amber Coffman of Dirty Projectors, Paul Wall, Slim Thug and Mike Posner and production from Diplo, Harry Fraud, DJ Mustard, DJA and more. “No other artist can be a NEON iCON. I mean you can wear neon. You can mimick all my moves. But it will never the be same cosmo zone as RiFF RAFF aka JODY HiGHROLLER aka The NEON iCON”. 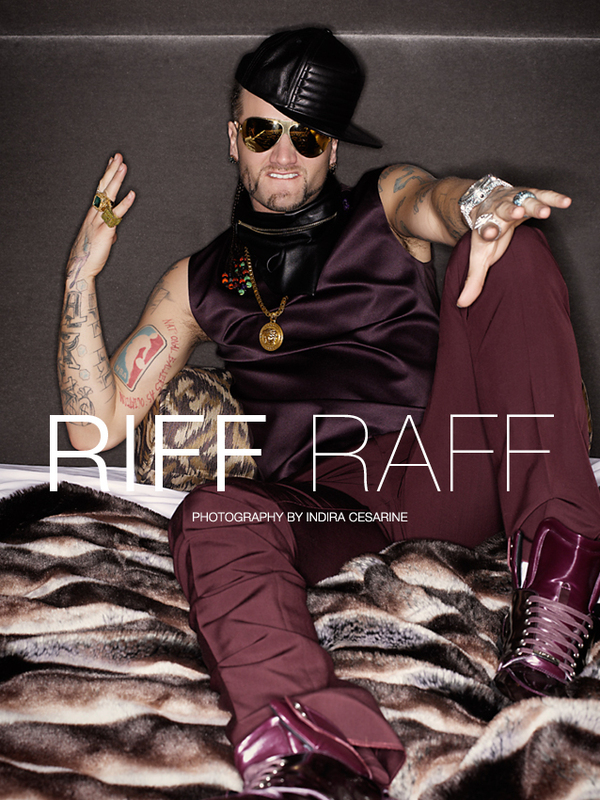 Make sure to check out our exclusive interview and cover shoot with Riff Raff in The “Legendary” Issue 7 – buy your copy here!